The speed of broadband delivered to us is measured in megabytes per second (Mbps). Various websites offer free speed checks for your system. The Mbps you receive depends on the area where you live, and on what your internet service provider (isp) can deliver. If your broadband signal is carried over a standard telephone line using copper wire – ADSL broadband – its speed depends on the distance you are from the nearest telephone exchange. The shorter the distance, the faster the Mbps you can receive. 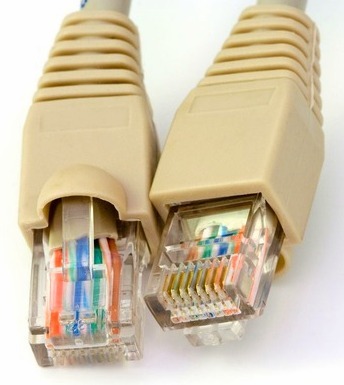 If your isp delivers broadband carried over high quality fibre wires – Fibre broadband – it will not be affected by the distance from the telephone exchange. Fibre broadband therefore offers higher speeds, so of course, it costs more than ADSL broadband. In the UK is offered by several isps, such as Virgin Media, Everything Everywhere, and BT, although the latter still uses copper wire locally, which can reduce the Mbps. Satellite broadband is only normally used where the other options are not available, such as some areas Wales. This is complicated and expensive to set up: you need to buy a satellite dish and a satmodem to receive the signal. Monthly costs are also relatively high. Recommended: Free Softwares To Increase Your Internet Speed! Most isps in the UK follow a voluntary Code of Practice, under which they give you an estimate of the maximum broadband speed they can offer for the package you are thinking of buying. If they have another package that should help, they should offer it to you if you find that the Mbps you actually get is much slower than their original estimate. The code also stipulates that they must explain the factors that affect speed and give advice where needed. For users residing in UK Talktalk broadband offers a lot of services for a very less amount. Apart from the distance from the exchange, for ADSL broadband, most will mention the complexity of your telephone wiring system and whether you have installed your broadband microfilters correctly. Using it in peak time when there is more traffic on it. The speed of the websites you visit. Running spyware, anti malware or some virus protection systems. The processing speed of your computer and router, and their connection. Running more than one computer or mobile devices that must share the connection. ADSL broadband is likely to be slower in rural areas which are probably further from telephone exchanges than towns. Because they are more sparsely populated though, they might have the advantage of coping with less broadband traffic. Broadband speed is never consistent. The factors mentioned above will affect it at different times of the day, so if you check the Mbps first thing or mid-morning, it’s not likely to be the same in the evening when many home users are going online after work. If you are not happy with your broadband speed you may be able to change to a faster supplier. Just time it right so that you don’t incur penalties for leaving your current isp before the end of a contract.